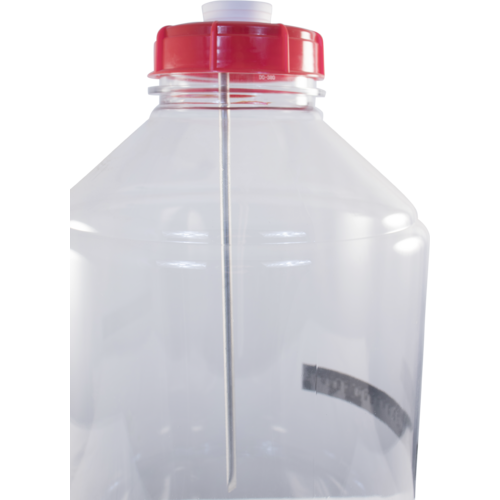 This carboy thermowell is used in conjunction with the Digital Controller, FE601A, FE610A, or FE602, to more accurately regulate internal temperature during fermentation. 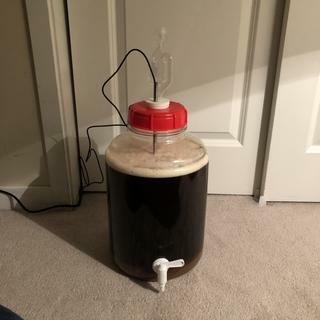 It is exceptionally useful during the start of fermentation when the lag between ambient temperature in the refrigerator and actual temperature in the carboy can vary greatly. Now you can keep your beer or wine within one degree of the set point on your digital controller. 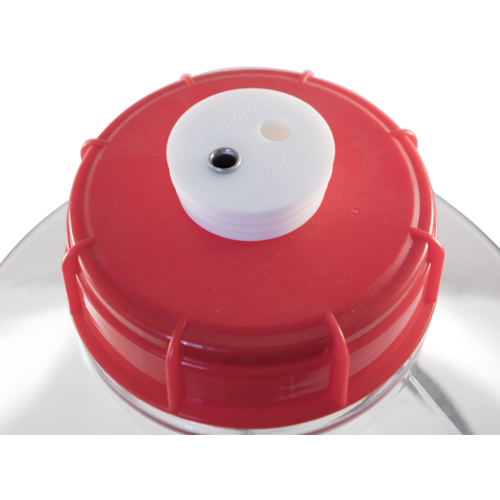 Designed to fit either 3, 5 or 6 gallon PLASTIC carboys or any other similarly sized opening hole. 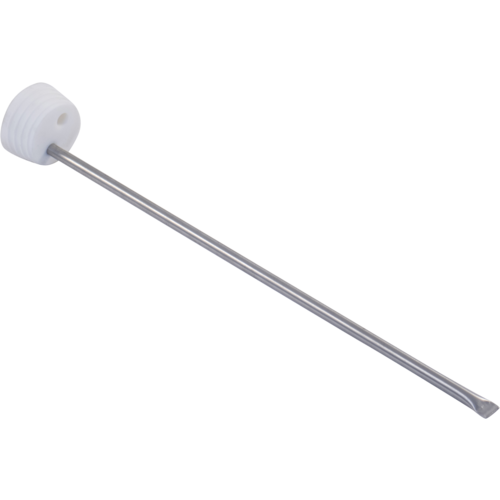 The unit comes with a 15" stainless steel thermowell and a #10 silicone stopper that will accommodate our sanitary filter, FIL90, as well. 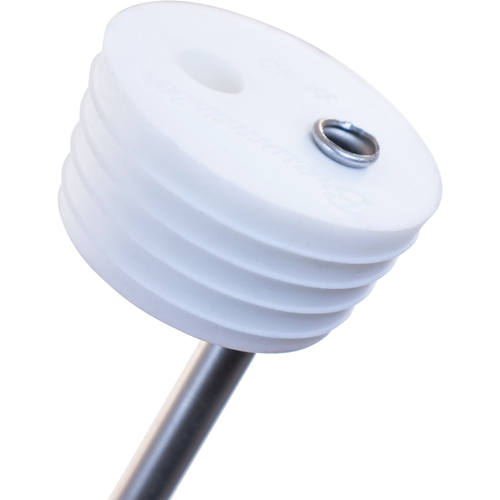 It can be used in any container with a stopper opening of this size where you need to accurately monitor and control liquid temperature. Will not work with Johnson Temperature Controllers (FE600 or FE611) because the probes are too large. 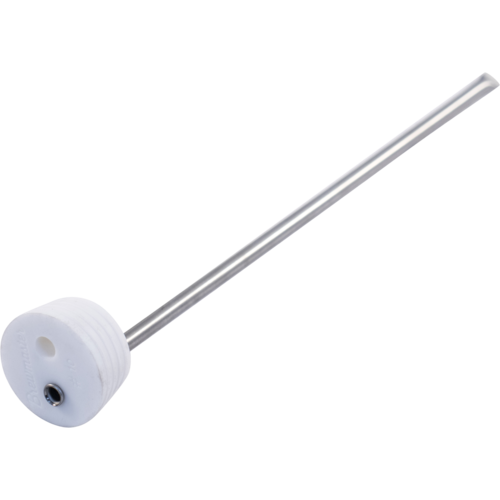 Need a thermowell for a glass carboy? Click here. It's the one that fits. I want a better estimate of fermentation temperature. While I found less expensive thermowells, I trust MoreBeer quality. does this work with inkbird temp controllers? BEST ANSWER: Yes, I have used it with an ink bird controller and have no problems. Yes. I have an inkbird and it works great. Yes! That's what I use. Is there a shorter version? I'm interested in this for the 3 gallon fermonster but it seems too long. BEST ANSWER: I haven't seen one that's shorter, but you can adjust this one by pulingl the tube upward through the stopper until the bottom is mid point in the fermenter. I don’t see a shorter version on the site, but you could remove the thermowell from the stopper and “trim” it to size from the open end. Just slide the thermowell up through the stopper to the length you need for the shorter fermonster. Works great, doesn’t pop out like the smooth ones do. This stopper thermowell works perfect with my fermonster. No more taping the temperature probe to the side of the fermenter. Works as described. The #10 stopper I used before would constantly slip out but this one does not. Also the thermowell makes temperature control easier. I used to have my probe taped to the side of the fermenter and required an adjustment to the temp set point to meet my desired fermentation temp. Love the notches in the stopper. Keep it from popping out when wet with Starsan. Just the right length to locate the temp probe right in the middle of my 7 gallon Fermonsters. 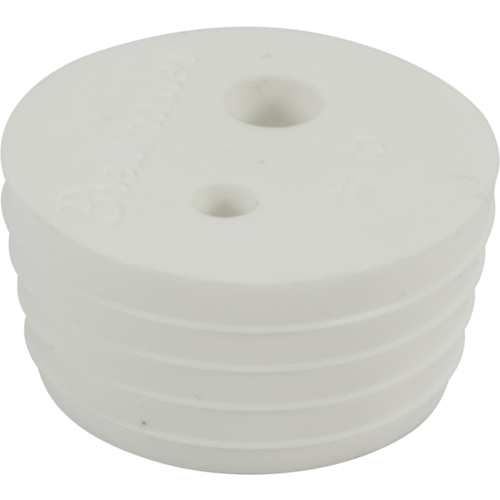 These are the perfect size to use with an Inkbird and Chapman's Univessel fermenters. Great product and price! Much better fit and it's much more secure than drilling a hole in the stock cap, and using another brand of thermowell.